Will is a regular principal baritone with English National Opera and Welsh National Opera. Recent highlights include; Pish-tush (the Mikado) and Dr Dulcamara (The Elexir of Love) for ENO and Somarone (Beatrice and Benedict) and Dr Bartolo (Barber of Seville) for WNO to wide critical acclaim. His future plans include; Alcindoro (La Boheme) for the Royal Opera House Covent Garden, and Sacristan (Tosca) and Gualtiero Raleigh (Roberto Deveraux) for Welsh National Opera. Will has a wealth of experience devising and presenting classical and cabaret programmes for the major cruise companies and prides himself on the quality of the performances Seawards Singers are able to deliver. The other singers in the ensemble are of the highest quality being friends and colleagues from the major UK opera companies with which he works. The Seawards Singers can work in any combination with Will as their leader and presenter, depending on budget and requirements. The smallest combination is Will (Baritone) and a pianist, right through to a full opera gala with Soprano, Mezzo, Tenor and Will (as Baritone and presenter) and a pianist. The programmes are individually designed and range from full-blown opera galas and/or classical concerts, right through to cabaret style presentations incorporating hits from lighter opera, musicals, cole porter, sondheim and comedic items, to name a few. 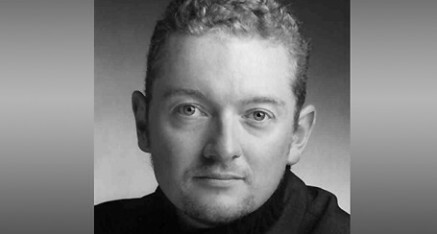 In addition to his Operatic career, Will Allenby has also worked as a headline act in his own right for many major cruise lines since 2003 and undoubtedly he brings all this experience and knowledge to bear when planning the Seawards Singers programmes. Seawards Singers are a high quality product, with a passion for sharing their joy of music making in a highly entertaining way.